This is an excerpt from an article originally published by AsAmNews. Often in life, experiences, current events, and exposure to skepticism can limit what we dream is possible. Many times, obstacles are self-imposed, driven by doubt and fear. In fewer instances, it can inspire. Inventing Tomorrow documents several high school students who learned what’s possible at the esteemed Intel International Science and Engineering Fair. Pacific Arts Movement showcased Inventing Tomorrow as its centerpiece presentation this past weekend at the San Diego Asian Film Festival. The film by Laura Nix follows teenagers from India, Indonesia, Mexico and the United States who were inspired by serious environmental problems in their communities. Jared Goodwin, one of Inventing Tomorrow’s subjects, was in San Diego with producer Diane Becker for the screening. The pair sat down with AsAmNews before the screening to discuss Goodwin’s science project and how the film showcases children dreaming big to save the world. A student from India created an app to crowdsource water testing in her hometown of Bangalore, India, where a lack of wastewater treatment led to major pollution in the city’s lakes. Two teenage girls from a community in Indonesia reliant on tin mining studied the effects of unrestricted dredging in the waters surrounding their island. The pair created a prototype filter for limiting pollutants. The third team, a trio of boys from Mexico, studied the effects of industrial air pollution in their city and developed a paint that could render certain pollutants non-toxic in daylight. Becker also talked about the filmmakers taking a risk in filming students who might have failed to advance to the ISEF competition. Unlike many films, she said, they did not choose to profile the students after learning the fate of the projects. 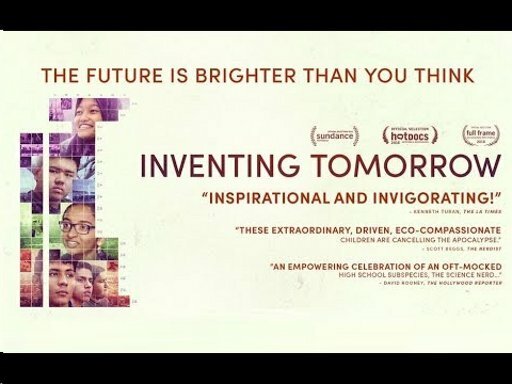 Inventing Tomorrow made its debut at Sundance earlier this year.